Seaworld shares opened at an all-time low of $11.77 after it announced plans to cut and then scrap its dividend. Seaworld Entertainment (SEAS) announced a quarterly cash dividend of 10 cents per share on Monday night, payable on Oct. 7. But that was down from its previous quarterly dividend of 21 cents. The company also said it would suspend dividend payments in the future, and use that money instead to "opportunistically repurchase" its stock. The company said it has $190 million available for share repurchases, but wouldn't say how much it will spend. The stock inched higher Tuesday to come off its low, but is still trading down 5% for the day and 39% year to date. Seaworld has been hammered by controversy ever since CNN aired the documentary "Blackfish" in 2013. The film suggests that the undesirable living conditions of Seaworld's orcas prompted one of them, Tillikum, to kill its trainer, Dawn Brancheau, in 2010. PETA has also hounded Seaworld for years, saying the parks mistreat its animals. Seaworld has fought back, pursuing legal action against a breeding ban in California that it called "overreaching." 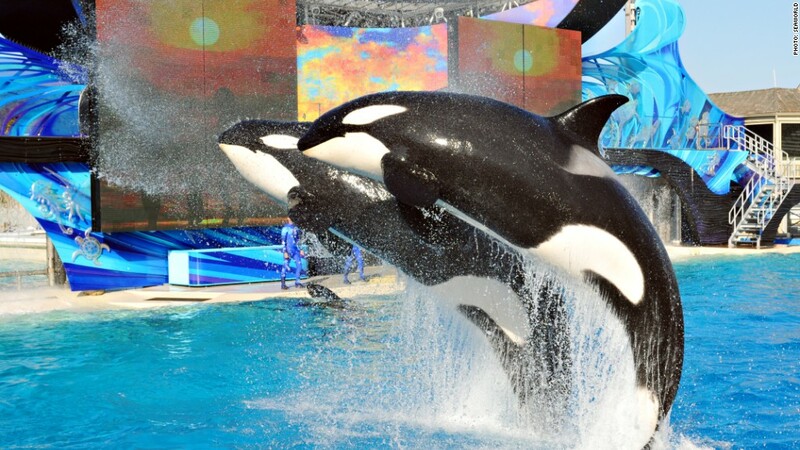 But the company changed course earlier this year, and said it was phasing out orca shows altogether. The company said last month that quarterly visits to its theme parks dropped by half a million guests. Seaworld owns five parks in Florida, including Busch Gardens in Tampa, and it also has parks in California, Virginia and Texas. CNNMoney's Matt Egancontributed to this story.